Gestern fand wieder einmal ein Workshop statt. Thema des Workshops waren Wellenbilder. Tolle Stimmung, schöne Bilder, gutes Essen. 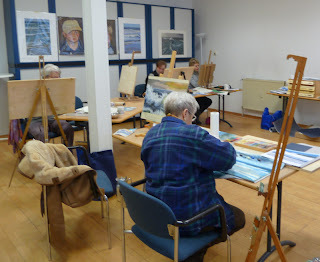 Did another workshop yesterday. We worked on seascapes. Nice atmosphere, great paintings and good food!